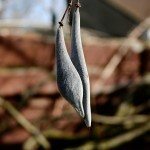 I HAD a lovely white wisteria that I planted 4-5 years ago but it suddenly died about two years ago. Last year I removed all the dead branches and chopped away the dead roots and stump. Suddenly last week I discovered a 6"-7" tall wisteria plant growing where I had cut all the dead roots and the stump away. It's been over two years since that plant died and now it's come to life. Will this actually become another vine with flowers or will it need grafting or anything special? Thank you. Since Wisteria is a very invasive plant, I'm not surprised you are still finding growth from the plant. 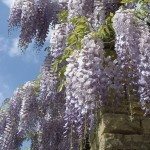 If allowed to continue to grow, you will have your Wisteria, providing it was not a grafted stock. If your patient and curious, I would just let it continue to grow. Make sure your trellis or support structure is in place for the vines to grow on.